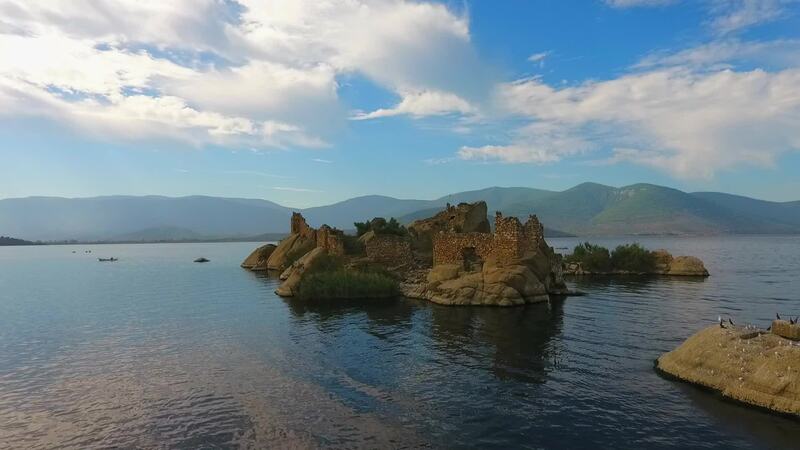 Description: This is a short aerial footage over Bafa Lake, which was a gulf of the Aegean Sea during the ancient period, was disconnected from the sea with its alluvions carried by the Büyük Menderes River and turned into a lake. In ancient times, the Gulf, which was an extension of the Aegean Sea and also was home to the ancient city of Herakleia, was called Latmos Bay. Shot on Dji Phantom 4.